The election frenzy…seizes the country every four years because we have all been brought up to believe that voting is crucial in determining our destiny, that the most important act a citizen can engage in is to go to the polls. The Bernie phenomenon has landed in my neighborhood. I am referring to “democratic socialist” Bernie Sanders’ candidacy for the Democratic presidential nomination, heavily focused on Iowa, home to the nation’s earliest presidential Caucus. Last Saturday, downtown Iowa City’s usually quiet Robert A. Lee Recreation Center, six blocks from my house, was packed with 1100 liberals to hear Sanders talk. I looked down into the center’s gym, where I occasionally shoot baskets alongside no more than 5 or 6 young and poor Black men. It was wall-to-wall with middle class white folks, many white-haired. I was simultaneously stirred, irritated, and saddened by the event. Sanders is good at this sort of thing. He’s a practiced and clever stump speaker. He sounds like a smart, pissed-off, and Leftist truck-driver from Brooklyn as he bemoans the takeover of the nation’s politics and policy by “the billionaire class.” He’s skilled in the use of statistics. He peppers his deep-throated orations with terrible numbers on the percentage of the nation’s wealth (more than 90%, he says) owned by “the top tenth of the top 1 percent;” the real U.S. unemployment rate (11% he says); Black youth unemployment (50%); the number of decent-paying jobs (13 million) that would be created by a $3 trillion investment in U.S. civil infrastructure (according to the American Society of Civil Engineers); the number of U.S, factories closed due to the North American Free Trade Agreement (he says 60,000); the number of Americans without health insurance (35 million); the co-pays and deductibles that average Americans pay for health care; the small number of giant firms that run our “corporately owned media;” the escalating costs of college tuition; college student debt loads; student loan interest rates; the percentage of Black men in the U.S. criminal justice system (33%); the tax rates paid by hedge fund managers; the skyrocketing costs of elections; and the political expenditures of his arch enemies, the right-wing Republican brothers Charles and David Koch. It’s a “disgrace,” Sanders says, that “the wealthiest nation in the history of the world” doesn’t fund free college tuition (“even Chile does that”), single-payer universal health care (“Medicare for All”), adequate national infrastructure, and publicly financed elections. It’s “grotesque,” Sanders intones, that right-wing Washington politicians “reject science” on climate change, under the influence of the nefarious Kochs. The U.S., Sanders says, can “learn from other countries,” like Canada and most European states on health care and more. It’s hard not to be encouraged by the sight of more than a thousand people cheering as a barrel- chested “democratic socialist” rails against savage inequality and plutocracy. So why my irritation? One of the irksome things about the two Sanders talks I’ve heard in Iowa City this year – a previous one a local bookstore last February – is how reluctant he seems to mention the thoroughly corporatized Democratic Party as part of the problem. Crazy John Edwards railed consistently against “corporate Democrats as well as corporate Republicans” when he ran in the Iowa Caucus eight years ago. noted that regressive and authoritarian “free trade” agreements like NAFTA, CAFTA, and the Trans Pacific Partnership have been supported by both “Republicans and Democratic presidents” – presidents he did not name. Also left unnamed was the abjectly corporatist Democrat Hillary Clinton, who Bernie described as “a good friend of mine” in his earlier Iowa City talk – and who is currently masquerading as a populist in accord with standard campaign-season practice. That’s another contrast with Edwards, who did not shrink from calling out right-wing business Democrats Barack Obama and Hillary Clinton by name. Free Pass for the Pentagon, or Where’s the Pie Chart? Let’s grant for argument’s sake that it’s too much to ask a major party presidential candidate with serious designs (Bernie claims) on the White House to criticize the profits system – capitalism – as such. And let’s forget for a moment that if that’s true it raises the question of why run for president with either of the two major U.S, political organizations when the capitalist system is not just actively ruining democracy and social justice (as usual) but poses an ever more clear and present danger to life on Earth. All that aside, is it really too much to expect Sanders to follow in the footsteps of “Progressive Democrat” presidential candidates – here I think of Dennis “Department of Peace” Kucinich – by taking aim at the nation’s gargantuan “defense” (Empire) budget, which accounts for 54 percent of U.S. federal discretionary spending and nearly half the world’s military spending? Nowhere in the two Bernie talks I have attended this year has Sanders voiced a single word against the nation’s massive Pentagon system of permanent war and empire. Nowhere does he explain how Washington would pay for the large-scale progressive social, environmental, infrastructural, educational, and health care programs he advocates without taking a giant slice out of the nation’s soulless military outlay. The “military industrial complex” that Sanders sometimes likes to (very quickly) denounce (sort of, and oddly enough for a politician who embraced the building of a wasteful F-35 fighter jet base in his home state) arose not only to sustain a global state-capitalist empire and provide corporate welfare for high-tech military corporations. It was also intended to provide a regressive form of publicly financed domestic economic stimulus (“military Keynesianism”) that would pre-empt a more egalitarian, social-democratic welfare state and a vibrant popular public sector (social Keynesianism) in the U.S. It has worked very well in that regard for more than seven decades. With his failure to forthrightly oppose the Pentagon System, Sanders is repeating one of the most glaring and basic mistakes of 1960s U.S. social democrats like Bayard Rustin and Michael Harrington. They stood all too pathetically mute as the Vietnam- swelled costs of the giant U.S. war machine helped strangle the “War on Poverty” in its cradle and deep-sixed their forgotten “Freedom Budget for All Americans” (an ambitious plan to end U.S. poverty within a decade). Sanders’ silence on “defense” spending undermines his claim to embrace the “Scandinavian model” of social democracy. As Sanders never notes, Sweden, Norway, and Denmark have tiny military budgets. They would never be able to fund the health care and safety-net programs that Sanders says he admires (without noting that the “Nordic Model” countries have been moving in a neoliberal direction for years) if they were saddled with military expenditures on the proportionate scale of the U.S. The sadness I felt over Sanders’ speech last Saturday is about the big turnout he got, strange as that might sound. Okay, yes…it’s nice to see more than a thousand Middle Americans crammed into relatively small public space – a poorly funded community center – to applaud an old New York City populist’s rant against the wealthy few. It’s depressing, however, to see that happening in connection with an electoral campaign for a major capitalist party presidential candidate – a candidate who has already declared that (since he’s “not going to be a spoiler who helps the Republicans take back the White House”) he will give his support to Hillary Clinton against the Republicans after she defeats him with her massively superior financial resources and corporate media approval. He’s a candidate who will help the corporate appointee (Mrs. Clinton) appear to have emerged victorious from “a real and open debate over the issues,” not because she’s spending $2.5 of mostly rich folks’ money. Along the way, he will help her and the hopelessly plutocratic US “two party system” – in which the Republicans and Democrats function as “two wings of the same bird of prey” (as Upton Sinclair put it in 1904) – seem far more progressive and populist than they really are. As I walked down to the Robert A. Lee Recreation Center to hear Sanders speak last Saturday, I passed through Iowa City’s College Green Park, whose southeast corner was home to an inspiring little outpost of the Occupy Movement in the fall and winter of 2011. For all its flaws, it was an attempt to spark the people’s social movement and direct action politics that Zinn talked and wrote about (and participated in). And it met no small amount of scorn and indifference from the middle class folks I saw assembled last Saturday to cheer a presidential candidate who has now fully enlisted in the capitalist-imperial party that campus-town liberals like. I didn’t see many of the 2015 Bernie throng even so much as visit the town’s embattled Occupy camp four plus years ago. During the Obama re-nominating Iowa presidential Caucus in January of 2012, however, local liberal Democratic Party activists did make sure to sell their Wall Street-protecting president as “the candidate for the 99 percent” – this despite the fact that Obama’s Department of Homeland Security helped supervise the federally coordinated repression of the Occupy Movement (inventor of the “99 percent” slogan) in mainly Democratic-run cities across the nation. (My sense is that in late 2011 most of the local campus-town liberals currently hoping for change through Bernie were too caught up in silly hopes for Obama and Democratic politicians to recognize or care about a real-life bottom-up populist movement in their midst. I witnessed a meeting of Iowa City progressives hoping to enlist Sanders in the Democratic presidential primary last fall. When the thirty attendees went around the table introducing themselves, all but three stated their “disappointed” dreams for progressive and left-leaning policies from Barack Obama – a man who had made it abundantly clear from the beginning of his national celebrity that he would govern in accord with the narrow parameters set by the nation’s unelected and interrelated dictatorships of money and empire. I didn’t see any of the Sanders fan-base in the streets of Iowa City last fall when local Black Lives Matter protests emerged in connection with the police killings of Michael Brown, Eric Garner, and hundreds of other Black Americans (a topic Sanders failed to address in both of his Iowa City talks). Or at the small gatherings in support of the Fight for Fifteen at the local Wal-Mart and McDonalds. The “urgent task” (Chomsky) garners tiny engagement from liberals and “progressives.” The “personalized quadrennial extravaganzas” around the question of “who’s sitting in the White House” garners large-scale interest and turn out. That’s sad. Sanders said one thing that surprised me a bit last Saturday. “The best and most honest president,” he acknowledged, “could not fix” America’s broken pseudo-democracy, because of “the power of the billionaire class, including corporately owned media.” But “there’s good news,” Bernie added: “history shows that the people can join together to say ‘Enough is enough. Billionaires cannot run everything.’” Both statements are true. But, then, why run for president? Why enlist in the “quadrennial extravaganza”? Why not opt instead for the more important politics of grassroots social-movement building? Let us never forget the shut-down of the great early 2011 Wisconsin Rebellion as union and political leaders moved to channel the remarkable populist social movement energies that had emerged in response to the right wing Teapublican Governor Scott Walker’s assault on public sector workers’ collective bargaining rights into a doomed and ridiculous campaign to recall Walker and replace him with a hapless and dismal Democrat (Tommy Barrett) who Walker had already trounced. It is one of recent history’s classic textbook studies in the Democratic Party’s ability to move workers and citizens off the “urgent task” by shutting down social movements with candidate-centered major party politics. It is a monument – one among many, to be sure – to Zinn’s “election madness.” Walker, by the way, is now a top dark-horse candidate to seriously challenge Jeb Bush as the Republican presidential nominee for 2016. 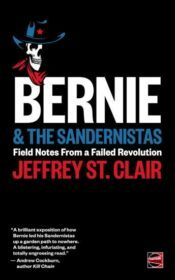 Second, there’s the deepened sense of popular powerlessness that will be engendered when Sanders is defeated, as he almost certainly will be given the giant financial expense of presidential politics and the inevitable and powerful bias of elite campaign donors and “mainstream” (corporate) media against any candidate who calls himself a socialist (however vague and mild that candidate’s usage of that term may be) and runs against the over-concentration of wealth. The fact that Sanders will campaign on behalf of policies that most US citizens actually support but will lose will fuel the deadly illusion that progressive, social-democratic policies lack majority support and further a sense of futility and isolation among progressive activists. And that is not positively correlated with meaningful popular action of any kind, outside or inside the reigning US elections racket. Quite the opposite. That’s worse than “little, if any good.” It’s harmful for progressive causes and people.